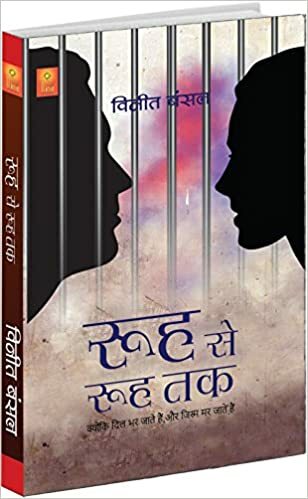 The cover depicts about love and a person being in jail. The title is really touching. The story is based on love, revenge and friendship. How a day can change your life completely. The story has alot of dramatic turns. The major characters are neel, aditi, randeep and riya. How neel saves a life and randeep becomes his best friend until a unwanted accident takes place which shatters his life. You will really love the daily incidents described and the college days as well. Neel is in love with Aditi.and randeep is in love with riya. Riya falls in love with neel.Riya conspires against neel to get him to love him. That one accident changes everything( read to know about the twist). It is a little long read but it is really gripping. The pace keeps on changing from fast to slow and medium. The last few pages the story moves fast. The narration is beautiful. The phrases used in the book are relatable. The characterization has been done really strong. The book is like a journey. The author has written several more books and he has done an amazing job with this book as well. Will definitely be looking forward to read more of his books. In the pell-mell of life, who has not sometimes felt overwhelmed? The mind seems to be in endless churn… Leading us in circles of despair, anger and frustration… Where do we turn when we are floundering? The answer lies within. Windmills offers practical and sustainable ways forward through Effective Mind Control (EMC). How to control your temper. How to deal with guilt. How to escape from the well of sudden disappointment. How not to feel dissatisfied with life. How to avoid despair over the lack of meaning in your life. These pages abridge the behavioral aspects of the AI thesis about the mind on the Effective Mind Control website. EMC has drawn keen interest from around the world, logging over half a million page views from over 150 countries. EMC assumes that IA, an intuitive algorithm, enables the mind to apply inductive reasoning to manage attitudes and behaviours. 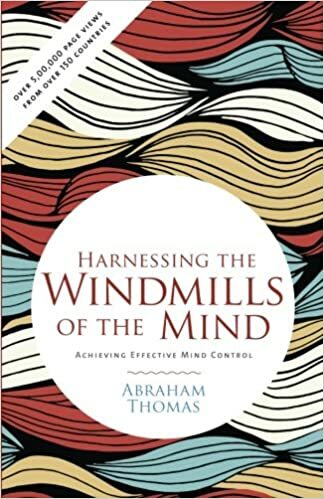 Windmills suggests simple mental and physical exercises, followed by wise men across the centuries, to change our own views and actions… Pointing the way towards a positive life experience. Life is tough and drives you insane so many times where we all ache for something more and something that keeps us going. There are such phases where there are just downfalls and nothing is clear again. This book is for all of us in difficult times and even on a daily basis. This book is empowering. The book cover is really beautiful and the title goes along really well with the book. The book is divided into many sections where one might be stuck and need help. This book helps one recognize true potential and how much more one can endure. There are many self help books you will find now but this book is definitely one that you should have. It talks on basis of facts, problems and there reasonable situation. It includes basic exercises, daily activities one can do when they feel lost, anxious.The book talks about various emotions, boredom, sadness, anger, jealousy. On how they develop and ruin our minds. This book is a constant reminder of how beautiful one is and how each one of us can conquer everything just if guided properly. The tips and plans are really helpful if one uses them on a regular basis. One will also see positive changes in their life. The way the book has been narrated is tremendously amazing. easy words and many points one will relate to the book. One will definitely learn something amazing from this book.